These southwestern homemade flour tortillas are a simple but delicious twist on a plain flour tortilla. They will quickly become a must-have on taco night! Homemade tortillas. The best thing ever, right? Of course I can’t be normal and post a recipe for plain flour or corn tortillas. Nooooo….I had to go and throw in some of my favorite taco seasoning. (If you love that taco seasoning as much as I do, make sure to make a large batch of it!) It just so happened to be a very, very good decision. It gives them the perfect southwestern touch, just right to make them a little different and more special than a plain tortilla. And can I tell you how amazing they are as the vessel for a quick cheese quesadilla? These are really quite simple to make and you don’t even need a tortilla press to make them. It might make them prettier and more uniform but I always do love the rustic look. I made these without a tortilla press and they were still easy to make, and perfectly delicious. Sure, I’d love a tortilla press but I have kitchen gadgets coming out of my ears and no where to put them. Literally no where. I have a wok sitting on top of my dryer right now. I’m sure my husband is thrilled about that. I don’t have a tortilla warmer either. Where do you people keep all of these things? I found that one of my Le Creuset pans lined with parchment paper kept these nice and warm without them getting soggy. Plus as an added bonus, it looks super pretty! If you’re planning to celebrate Cinco de Mayo, make sure to add these to the menu! 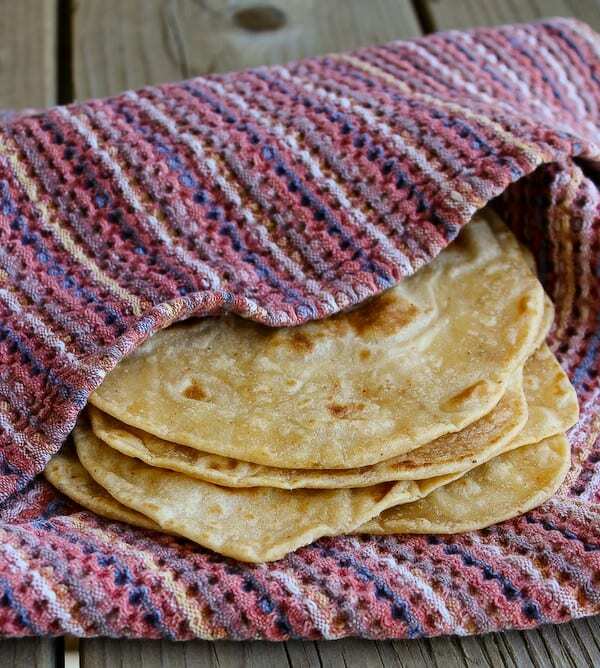 hese southwestern homemade flour tortillas are a simple but delicious twist on a plain flour tortilla. 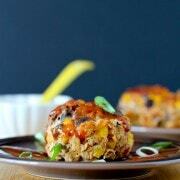 They will quickly become a must-have on taco night! Add flour, salt, and taco seasoning to a large bowl. Mix together to combined. Add shortening to dry ingredients and mix together using your hands until it resembles coarse sand. Add the hot water and mix in with a fork. Knead for 5-10 minutes or until a smooth ball forms. Roll into a log and cut into 12 equal-ish portions. Place in a zip-top bag and let rest for 30 minutes up to two hours. Preheat a frying pan or a skillet over medium-high to medium heat. Roll out the dough into approximately 6 to 7-inch rounds. Fry the rounds for about 30-40 seconds on each side. They should puff up and become golden brown. Keep cooked tortillas in aluminum foil, a tortilla holder, or a dutch oven until ready to fill and serve. This will keep them soft and warm. Verdict: Loved these. We loved eating them plain, even. Preferably fresh and hot. Husband’s take: He loved these too. Such a great twist on the traditional. I have never made homemade tortillas, despite the constant push that they’re so much better than store bought. To be honest it’s just out of pure laziness.. But, I love these ones! They’re seasoned..that makes it so much better! 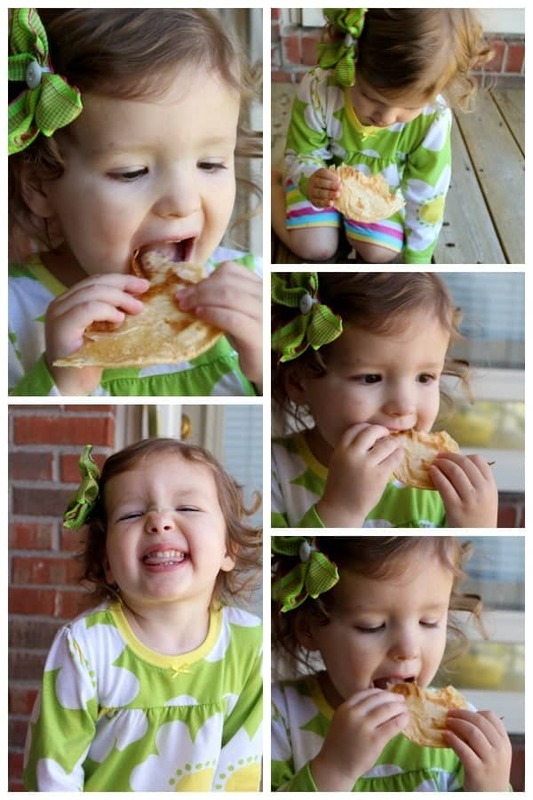 I’d totally do what your daughter is doing and just eat them as is! oh YUM! I grew up in East L.A. in the forties. The abuelas used to sit on their front steps and make tortillas. They’s hike their skirts and flatten the tortillas on their thighs. No tortilla press needed. Heh . 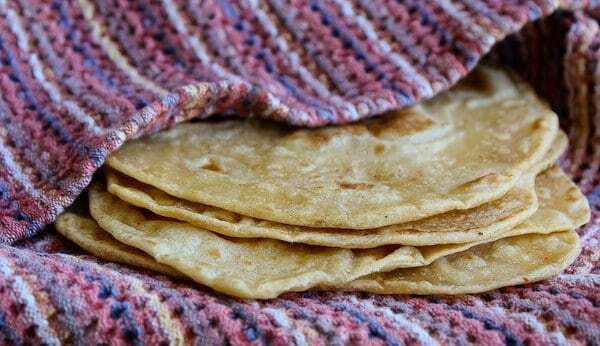 . .
How could you not love these homemade tortillas. Love the addition of taco seasoning. Such a great idea to add taco seasoning for extra flavor! 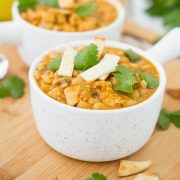 Thanks for sharing this recipe Rachel! 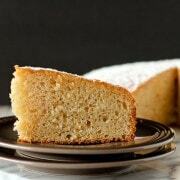 I love that I could sub gluten free flour and make them for myself, pinning! 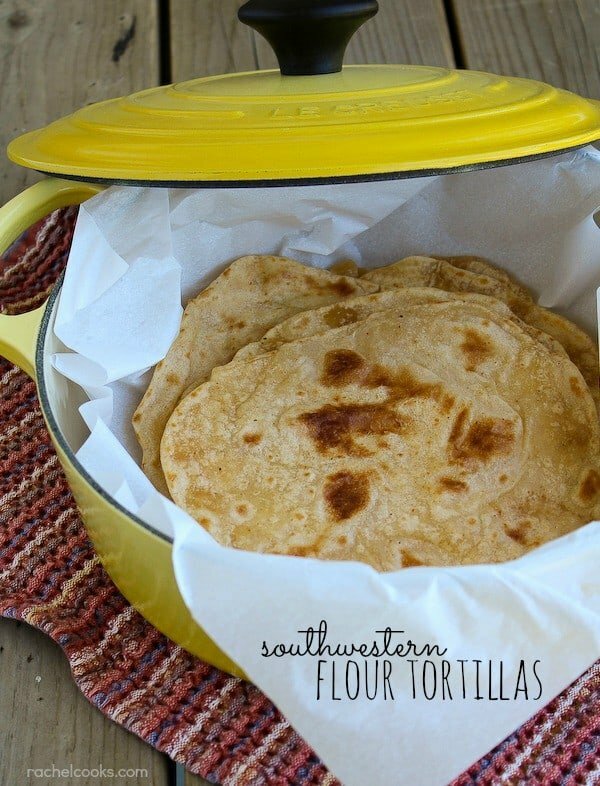 Homemade tortillas have always been on my bucket list-I might just have to tackle them! Yours looks delicious! I made homemade tortillas for the first time ever this weekend. And I’m completely blown away by how easy it is. I was thinking it’d be fun to put a few spins on them and you totally read my mind! I love these! Oh man, those photos of E are SO adorable!!! I’ve never made a tortilla before, but these sound amazing! Love the taco seasoning addition! Pinned!